Coach Paul Leroy is a Hall of Fame Coach best known in Georgia for leading the Thomson Bulldogs to their first ever state championship in 1967. Born in Camp Hill, Alabama, as the 12th of 13 children Leroy didn’t play football until his senior year of high school. After graduation he enrolled in Marion Military Institute in 1953, receiving a letter in football and then earning scholarship offers from The Citadel, VMI and Suwanee. But when the football coach at Troy State approached him during the summer of 1955, he jumped on the walk-on opportunity to play for him. Upon graduation Leroy began his coaching career at Hayneville High (AL) in 1957. In 1962 a Troy alumni who was a principal at Thomson High hired him as head football coach. Leroy not only guided the Thomson Bulldogs to their first-ever state championship - he coached future Pro Football Hall of Fame member Ray Guy. Upon retirement Leroy turned his military background and his coaching experience into 30 very successful years in business. 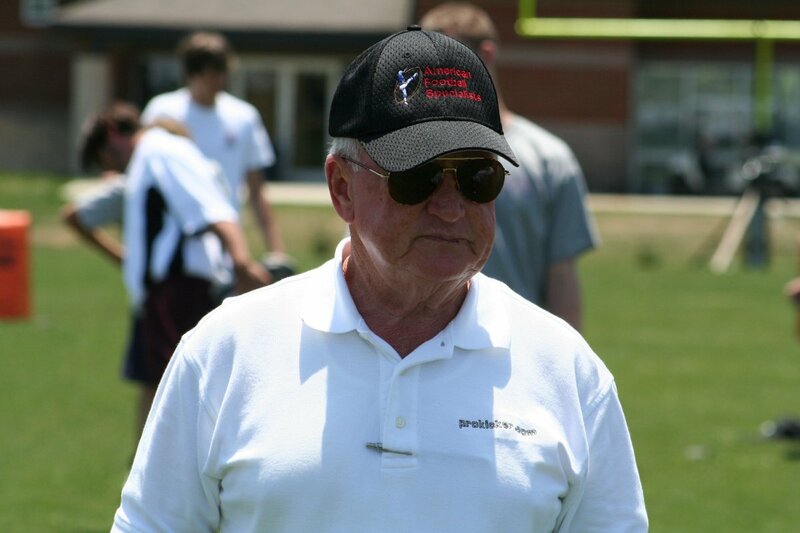 In 1994, he began working with Prokicker.com / Ray Guy Kicking Academy, teaching kickers, punters and longsnappers nationwide. He presently volunteers his talents to Thomson High School to coach kickers as needed.